"Without Hans Scholl, there would never have been a White Rose movement – that is the clear implication of all the published biographies", says Hildegard Kronawitter, Chairperson of the White Rose Foundation. "He made a personal decision to resist, and it was his commitment, energy and clear-cut political stand that persuaded his friends to join him." 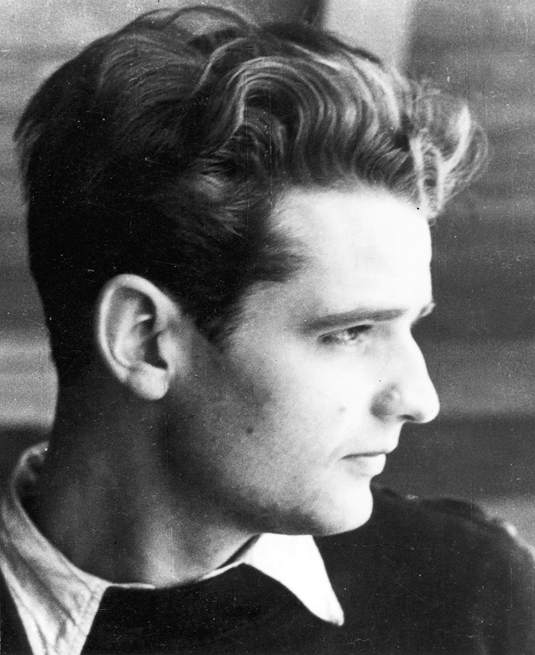 Hans Scholl was born on September 22, 1918 in Crailsheim, and grows up there with his four siblings. His father Robert Scholl is a political liberal and a firm opponent of the Nazis. His mother Magdalena is a devout and socially active Christian. When Hans decides to join the Hitlerjugend in Ulm, he acts in defiance of his parents’ wishes. He rises to the rank of Fähnleinführer. In 1939, Hans Scholl embarks on his medical studies at LMU. He is still in obligatory military service, and as a member of the Medical Students Company, he is quartered in barracks. Here, he gets to know Alexander Schmorell and Willi Graf, who will later become active members of the White Rose. He has already begun to reconsider his political and philosophical views. The onset and nature of the war make a deep impression on him and profoundly alter his view of the Nazi terror regime. In a letter to his parents, he writes: “I don’t know how long I can continue to contemplate this slaughter.” It is not his only expression of compassion for the sufferings of the victims of the war. His determination and conviction are what made Hans Scholl one of the central and formative figures in the White Rose group as well as one of the main authors of the protest leaflets formulated against the Nazi regime. At 11 o’ clock on the morning of February 18, 1943, together with his sister Sophie, Hans Scholl began to deposit copies of the sixth leaflet on the stairways and around the lecture halls in the Main Building, before dropping the rest from the first-floor balustrade into the Atrium. They were observed from below by the custodian, who pursed and caught up with them as they tried to flee. They were immediately handed over to the Gestapo. On February 22, Hans and Sophie Scholl, together with Christoph Probst, who had a young family, were sentenced to death by the Volksgerichtshof in a show trial that Hans Scholl denounced as a farce. On the same day, all three are beheaded in Stadelheim Prison in Munich. The officer presiding describes Hans Scholl as calm and composed and records his last words: Long live freedom. 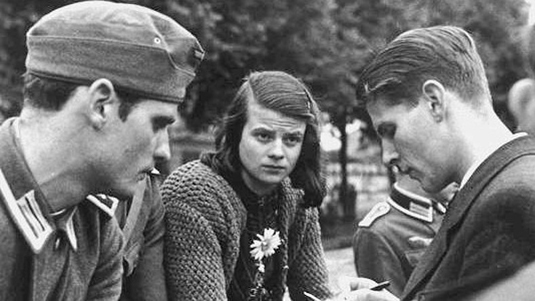 "Law changes, the conscience doesn't"
75 years ago, LMU students Hans and Sophie Scholl and five of their friends from the White Rose paid for their convictions with their lives. They were convicted by an inhuman regime and put to death. We honor their memory.